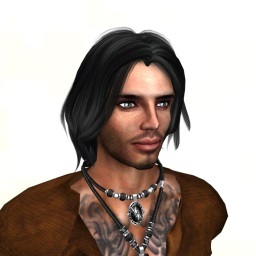 There are some extraordinary avatar’s that inhabit Second Life and just one such avatar is that of Ron Sin. Ron’s persona is cheeky, fun and quirky (with a wicked sense of humour), but he is also incredibly loyal to his friends. He has a passion for making a difference in the lives of those he interacts with. Ron’s human self, hails from New York. He migrated over from ActiveWorlds, an older MMO which came into existence in about 1995. 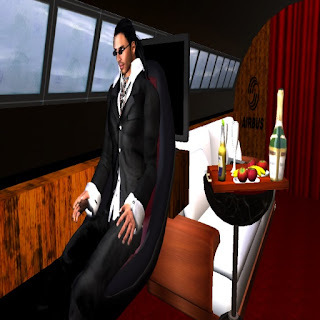 He says he was looking for a more sophisticated game with better graphics, so he rezzed into Second Life in 2006, and has been here ever since. 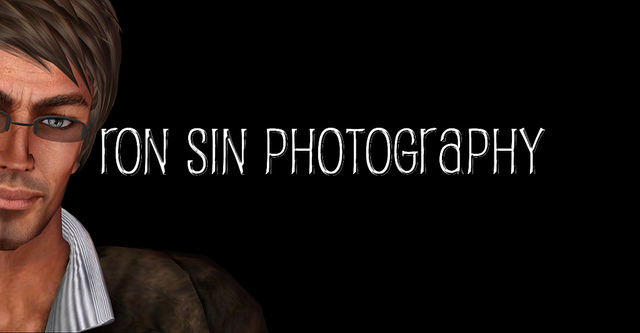 Ron’s RL background is in photography and in 2008 he translated that into SL photography too. Photography means to him, limitless creativity and new perspectives. He comments “There are angles and perspectives that a photographer can attain in a digital world, that are virtually impossible in real life. In SL, prop investment is minimal because you can literally build whatever you imagine, in order to make the shot.” Although he doesn't specialize in one area of photography in SL, he does lean towards landscapes and head shots and he is often called on by designers for his talent in green screen. Green screen is the process whereby a person or object is placed in front of a screen that is green and then the photographs are taken. After the photograph has been taken, the background is edited to the client’s requirements. This is a versatile technique which allows for flexibility and creativity. On what makes a good picture stand out from the average, he states “A photographer can use lighting in so many different ways to really capture the subject. I find that it can produce amazing results, and can often make or break a shot.” He says when shooting avatars, he prefers liquid motion over pose balls. He says he seems to do much better and is able to capture amazing shots that way. He continues “To me, it seems more natural, and I get to challenge myself, which keeps me on top of my game. Ron’s advice for photographers just starting out in SL is to not try to follow suit of other photographers in order to can the process. Instead, take it all in, and allow your creativity to flow and the results can be very appealing. His best SL photography tip is to spend more time shooting avatars in motion, rather than on a pose ball. We then went on to ask what a typical day in the life of Ron Sin would be. “When I am not involved with photography, I enjoy flying and sailing on the open seas, with my collection of boats, planes, and helicopters. I find it very relaxing” he replies. It is difficult to capture the essence of someone who is as multifaceted and talented as Ron Sin is in a couple of paragraphs. They say a picture says a thousand words, but we hope that our 850 words have done this amazing man some justice.